Have an AppRadio 2 question? Shoot it across! I just got my AppRadio 2 and have just posted my experience with it on your home page. Please feel free to post these issues elsewhere. I’m hoping that the updates will address these issues in the future or someone can point out if my unit / install is to blame. I’ll forward you a video I plan on making soon. I had the system installed a few days ago and there are some issues I'd like to bring to light. Please let me know if any of you are experiencing these issues and perhaps we can find some workarounds together. 1) After you plug in the iPhone (mine's a 4s) and press play on Pandora the system asks you to boot Pandora up from your iPhone. So you essentially have to pull out your iPhone and start Pandora through the phone before you can listen. Answer: Yes. Unfortunately every app has to be 'allowed' permission to be started. This could mean launching the app manually on the iPhone or clicking 'allow' when prompted to launch the app on the iPhone. This is quite annoying. Hopefully Pioneer listens to these user complaints and addresses these issues. 2) When you're listening to music or Pandora and you suddenly need to use Navigation you have to hit the Apps icon but then launch the Navigation program from the iPhone. I thought the whole point of this AppRadio was to plug it in and forget it. I believe that you have to hit the Apps button (on your iPhone) each time you exit it and want to come back to it. Answer: Yes again. As I said before each app needs to be launched from the iPhone or the AppRadio 2 tries to do it but this pops up a warning. Clicking 'Allow' on the iPhone launches the app. Sometimes though, especially with Pandora, not doing anything when prompted to launch the app from the iPhone will result in Pandora launching itself and the music starts playing. But this isn't consistent. 3) After listening to Pandora or iPod for a few minutes the screen goes blank but the audio keeps playing. You are therefore left without seeking abilities and cannot skip to next track unless you press the main button on the head unit and select Pandora or iPod again at which time the music track will stutter before resuming playback. I'm not sure why it turns off every few minutes? Can be very annoying and I've only had it for a day. Answer: I haven't noticed the blank screen while using the music app but with Pandora it's happened to me a couple of times. The only way to get out of the blank screen is to click the home button and launch the app again. Stuttering issues are also seen on my unit. Switching apps sometimes will make the music pause and resume for no reason. Also, it seems like AppRadio 2 decides which songs to play and when from the Music app. For example, if you're halfway through listening to Song A, disconnect the iPhone when leaving the car, come back in and plug in the phone, AppRadio 2 will start playing a totally different song. Song A, I guess is done when you disconnected the phone. Same thing happens when you switch apps. A different song starts playing between apps or iPhone disconnections. 4) When watching video I am unable to find it through iPod Video button all though there clearly is a video button under iPod. What you have to do is first go to your iPhone, pick your video, play it then hit the Apps button on the AppRadio 2. Once video playback is complete you would have to go back to your iPhone and select another video to watch. Unbelievable!!!! Answer: The 'Video' button in the iPod app is for playing videos stored on your iPhone's Video app only. You can't use that to play other videos, for example YouTube or Netflix. For such videos, the method you've explained seems to be the only way to do this right now. I haven't found a simpler way. Obviously playing videos (other than those stored on your iPhone) on your AppRadio 2 isn't something Pioneer cares about much. We saw similar issues with the original AppRadio where video playback needed quite a few clicks to get going. Hopefully a fix is coming but at this time it looks far-fetched. Bottom line in all this is there are still quite a few issues in AppRadio 2 that need to be fixed by Pioneer. 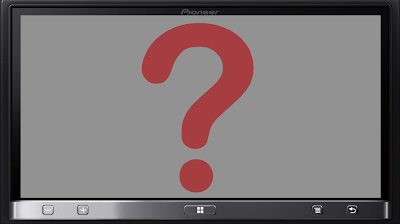 Another thing that I haven't been able to understand is how Pioneer will issue firmware upgrades in the future since AppRadio 2 lacks a microSD slot. I hope someone at Pioneer is reading this. Thanks again, Warren. If anyone else has AppRadio 2 and wishes to share their experiences, both good and bad, please feel free to write in. You can contact me by clicking the 'Contact' button at the top of the page. I would guess that updates can be applied by having the update file in the root of a USB Flash Drive. Insert the USB Drive in the USB port and do something special on the unit to update from it. Sound very possible and frequently done on other devices. Couldn't the firmware be updated via the Appradio app on the phone? "A key to AppRadio is the flexibility to seamlessly add features and capabilities through compatible iOS or Android™ applications. As the library of AppRadio compatible apps continues to grow, users will be automatically notified via the Pioneer AppRadio app on your smartphone, with a link to the respective app(s) page within the Apple iTunes® App Store or on Google Play (Android Market) depending on your device. The AppRadio is designed to grow with your smartphone, and has the potential to support updates for future hardware and versions of the operating system." One of the things holding back most Android users is the lack of availability on the connection kit. Also the price - $100 for a bunch of cables seems a lot. Perhaps in combination with a powered USB cable running to the cigarette lighter. I refused to pay the ridiculous price for the android kit. Plus my phone doesn't have mla anyways. So I just bought a regular HDMI to microHDMI cable on amazon for 5 bucks and my phone works perfectly fine. I routed the cable to my center console box and use the charger in there. Now my phone can stay hidden and works perfectly fine. Oh yeah and you have to root your phone and download Arliberator. The app costs about $35 but it's so worth it. It gives you full control of your phone from your radio. Sorry for the needless back story. I have been curious about the video function for a while. Pioneer only has "IPOD" but there is no video access on it for APPRADIO unless I missed something right? I assume that the IPOD on appradio only accesses the IPOD on the iphone, which on new IOS the IPOD is seperate from VIDEO and thats why APPRADIO doesn't acknowledge video on its IPOD controls? So what i have had to do is go into the advanced app on appradio then exit out of appradio app on my phone, then play the video I want either on youtube or my video library using my phone. Only way I have seen for it to dislay on the the appradio screen. If you do it from the appradio homescreen without going into advanced app it will only play the sound. I just got mine installed and I get the black screen on almost everything. apps doesnt load at ALL. black screens.. radio or music will continue play if it was already on... but nothing else seems to work.. for the $500 i paid for it I feel I overpaid TONS.. any solutions? Try starting all over again. Delete the AppRadio app from your phone and reinstall it. Then click the Apps icon on the AppRadio, go through the warning screens and try launching apps from there. If you get a blank screen, press the home button to return to the startup screen. Blank screens are mostly encountered when switching apps. Good luck. I have the SPH-DA100 connected to a Samsung Galaxy S2 but the screen keeps going on the AppRadio. It works for a bit then drops out, then comes on again. Any ideas why this is happening? Is there any way to make the new navigation on IOS 6 work instead of using a external navigation app like waze? It would be nice to just hit the maps button and or tell siri to give me directions somewhere and the navigation just open up on the screen. I just got my AppRadio2 today and cant do install for over 2 weeks. I am thinking you'd need to do a iPhone Jailbreak and then mirror the iPhone onto the emulator (AppRadio2) which voids your warranty but I think it can be done. Same idea as an AppleTV mirroring. Hope Pioneer would add in Siri Integration. I work at a car audio shop. I'm using the AVH-X4500BT with my 4s. Most customers that I've encountered are saddened that there is no video support. They would like either a YouTube app or be able to watch YouTube via Opera, and Netflix isn't capable yet. Furthermore, if you're using the app mode, texts, emails, and other alerts are silenced unless this is changeable in the menu (which I haven't discovered yet). Basically, if they're using DashCommand, Web Browser, or other apps, there phone is disabled from everything else.... unless I'm missing something.